It’s National Rosé Day and the perfect time to celebrate the summertime drink. The official start of summer isn’t until June 21st, but the popular summer drink Rosé is getting its day in the sun on June 9th, which is National Rosé Day. Started in 2015, National Rosé Day is observed on the second Saturday in June and was created by Swedish rosé house Bodvár, but the wine itself has been around for much, much longer. 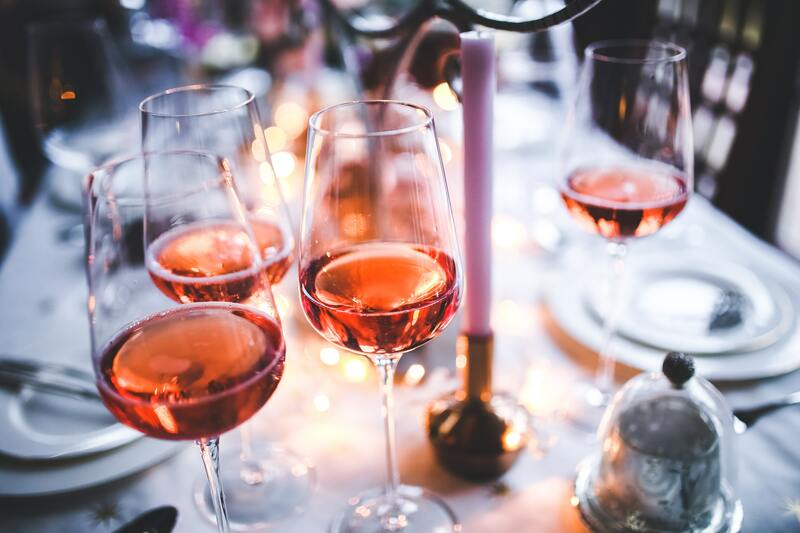 Rosé wine dates back to around 600 BC, when Greek traders brought the wine and vines to France, specifically Provence which is the birthplace of the French vineyard. Rosé from Provence was a very prestigious wine in the 14th century, fit for kings and nobles, and it’s still considered the truest form of rosé on the market today. The Provence region of France actually produces more rosé than any other style of wine and it’s produced at multiple price points, so there’s no need to be a king or noble to enjoy a quality bottle of the pink stuff. To create the classic pink color of rosé, winemakers juice red grapes and then allow the juice to soak with the skins for around two to three days. As soon as the color is about to reach the desired pink hue, the winemakers remove the skins and let the juice then ferment into the wine. Rosé has become incredibly popular over the past few years, and the frozen form of the wine, frosé, in particular has become a backyard, patio, and garden party favorite. Whether you’re celebrating National Rosé Day or are just a fan of the summer drink, here’s a delicious recipe we’ve created to enjoy. Lemon Juice – 3 fluid oz. Simple Syrup – 2 fluid oz. Pour rosé into a 13×9” pan and freeze until almost solid, at least 6 hours. Scrape rosé into a blender, add the strawberry puree, lemon juice, simple syrup, and ice and purée until smooth. Depending on the size of the blender, you may need to blend in batches. Transfer blender jar to freezer and freeze until frosé is thickened (about 25-35 minutes). Blend again until frosé is slushy, garnish with fresh mint sprig or fresh lemon wedge, and enjoy!